NECA Toys Bride of Chucky- Ultimate Chucky and Tiffany 2-pack – AiPT! 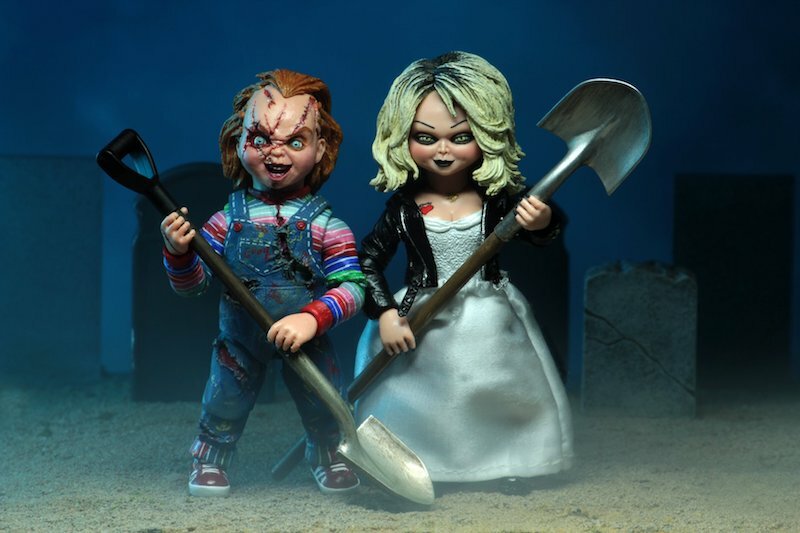 NECA Toys releases new images from their upcoming Bride of Chucky – Ultimate Chucky and Tiffany 2-pack. NECA Toys has just released new images of their upcoming Bride of Chucky -Ultimate Chucky and Tiffany 2-Pack. The figures look impressive and come with a stack of accessories, including shovels, guns, knives, interchangeable hands, heads, and more! The set is scheduled for release in December 2018.